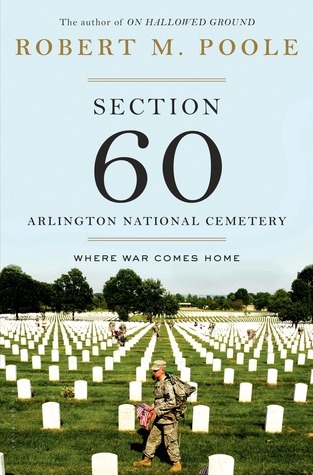 While On Hallowed Ground chronicled the history of the cemetery, Section 60: Arlington National Cemetery is the powerful contemporary biography of a five-acre plot where many of those killed in Iraq and Afghanistan have been laid to rest alongside service members from earlier wars. Gifted writer and reporter Robert Poole opens the story with preparations for Memorial Day, Arlington's biggest event, when thousands of families come to visit those buried in the 624-acre cemetery, legions of Rolling Thunder motorcyclists patrol the streets with fluttering POW flags, and service members place miniature flags before each of Arlington's graves. What emerges is a portrait of our national cemetery as a living, breathing community, and a narrative about how improvised explosive devices, suicide bombs, and enemies who blend in with local populations have changed the nature and aftermath of conflict. Several of the newest recruits for Section 60 have been brought there by suicide or post-traumatic stress disorder, a war injury newly described but dating to ancient times. Using Section 60 as a window into the latest wars, Poole recounts stories of courage and sacrifice by fallen heroes, and explores the ways in which soldiers' comrades, friends, and families honor and remember those lost to war-carrying on with life in the aftermath of wartime tragedy. Section 60 is a moving tribute to those who have fought and died for our country, and to those who love them. This is a very well researched book with some awesome stories in it. The author also goes into the Old Guard and the hours they train and practice for a funeral, drilling, folding the flag , proper spacing and being line for the rifle salute to name a few. There are 56 soldiers and over 60 horses, and they still follow the tradition started from the civil war. The Marine Corps. Who have their Barracks at 8th and I Streets, S.E. IN Washington, where they have held the ground since 1801. They practice with trash cans loaded with weights doing the slow marching in the dim recess of a basement parking lot, making sure everything is exact. The Marines recruit anyone over six feet tall, and then put them through a rigorous training before they are even allowed to do a funeral. They must bench press 225, seat- press 135, curling a straight bar with 115 pounds, and deadlift 315. The Marines have three men per side for each burial and the other branches have four. This is pride in doing more with less. There is also a very new tradition called “The Ladies of Arlington” who stand in for the family if no one is there, now they make contact with the family and help with what is going on that day. Each story is very moving and the author being able to speak to the members families was really a plus for this book. In a book I read earlier this year tilted the ‘The Reaper” about a Ranger sniper Nicholas Irving, he speaks of a day when they came under attack and were in battle for 20 hours before anyone could be med i vac out. One Ranger was Cpl. Benjamin S. Kopp. A 21 year old Ranger who died in 2009 but it was days later before they heard about his death, and they were also told that he saved some one life by organ donation. That was all you found out in the book. 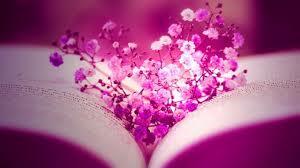 In this book the author meet a 61 year old woman. Meikle had never meet Koop or anyone from his family. But she traveled from Illinois to section 60 four years later because she is doing great and she would not be alive if it was not for that Army Ranger. Meikle’s friends made it to service and put it on speaker phone so she could hear. She got his heart another man got a kidney. A part of the story that I thought was strange. Was she has now started to have a craving for green beans and she did not like them before the transplant. Talking to his mother it happened to be his favorite food. She now does speaking engagements about organ donation, she has become a friend to his mother. This is just one there are many, many more and each one is very moving. Weather it is a Seal and then each member coming up and pounding their Trident into the casket I cannot imagine the sound that make. I am sure if people look into their families they just might have someone buried there. I have an Aunt and an Uncle who were both Marines and my uncle fought in Vietnam, and wanted to be buried there when he passed. So this was a great book for me to read and the stories were great. I got this book from netgalley. I give this 5 stars.